It’s officially the year of the ear. Actually, the ear has been having a moment for a while, but I really wanted to make that rhyme. The truth is I’m late to the ear party, or rather I chose not to attend. I have a somewhat longish face, so I’ve often felt that the statement making, shoulder grazing earrings that are currently de rigueur didn’t do anything to help my visage. I also couldn’t help but have flashbacks to the “chandelier” earring craze of the early-aughts, a trend that I blame on the perfectly polished celebs of the likes of Jessica Alba et al. who frequently appeared in the pages of Us Weekly (pre-Instagram of course) with these gaudy light fixtures hanging from their lobes. Embarrassingly I fell deep into this trend and when I finally crawled out I vowed to stick to studs and turned my attention towards creating the perfect ring stacks. I can ignore the lobe no longer though. 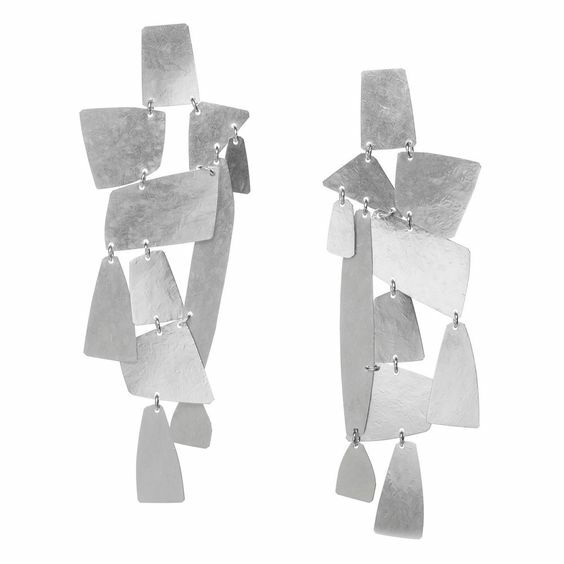 If you’ve been around, you’ve likely noticed that there are so many talented designers doing the earring in inventive and intriguing ways that often resemble mini wearable sculptures. Exhibit A: Anissa Kermiche. She made her name with her Paniers Dorés earrings which take inspiration from fortune cookies. 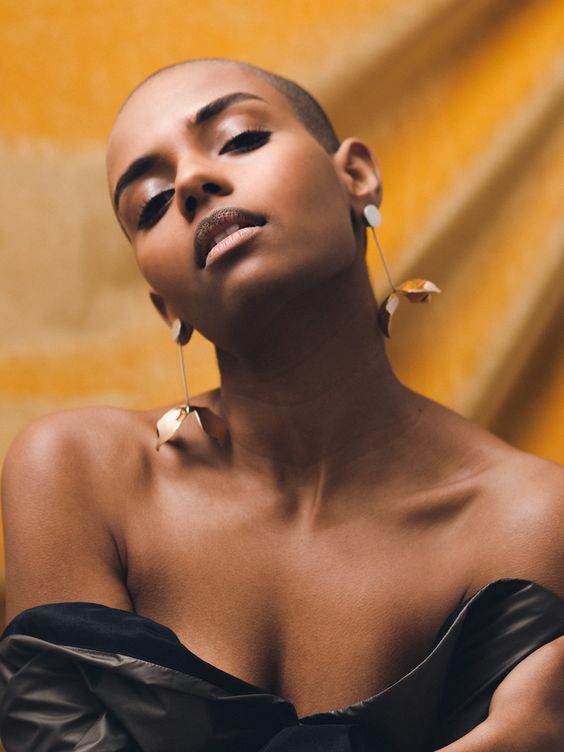 Truly captivating though are her Mobile Doré earrings which I fell in love with after spotting them on style writer and podcaster extraordinaire, Pandora Sykes. Also not to be ignored are the wind chime-esque danglers from Annie Costello Brown, gracing the ears of fashion show goers the world over. And I must mention the signature high polish, gold and silver works of ear art from Faris that are truly enchanting and have worked their way into my repertoire. So yes, I’m deep into the earrings haze, but what’s even more intriguing about the ear right now is the role the it plays in that other major au courant movement: mindfulness. Now let’s remember, I am a self-proclaimed optimistic skeptic, which means I know this buzzword is as annoying as “disrupt” at this point, but as a committed meditator I can say with authority that it’s worth becoming a cliché for. Back to the point though. Our ears facilitate our hearing obviously, but what’s key in the mindfulness equation here is that we must actually choose to listen, connect and be present for what we’re hearing. All too often I’ll find that during a conversation, or in a group, or during a pod cast I’ve just automatically tuned out without even realizing it. I’ve started to wonder if the person sitting across from me is staring at the dark circles under my eyes, or if I really turned off the curling iron, (I know I set it down, but did I really turn it off? ), or if I should risk trying to take the L train home later… All of the silly things that don’t matter in the grand scheme, but end up pushing their way in if not kept in check. 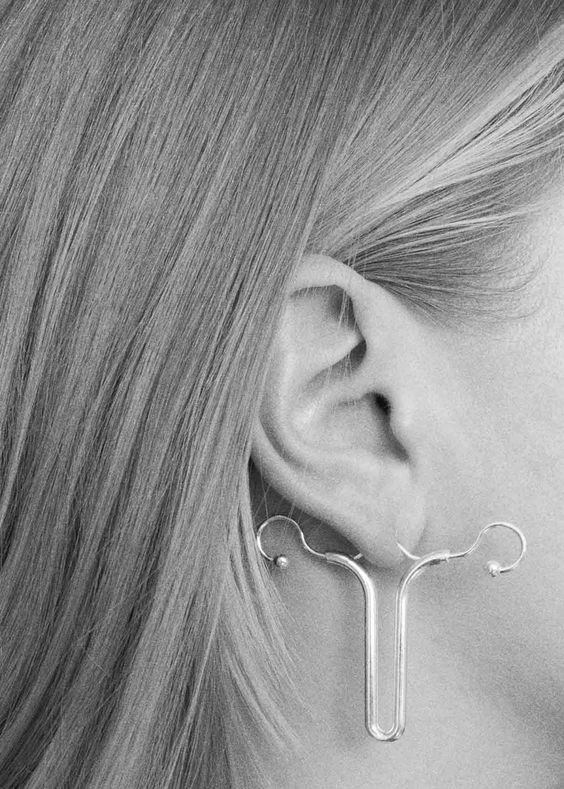 So, like the old-timey scrap of string tied around a finger to act as a reminder back before we had iReminders, perhaps the swing of that statement earring can be the physical reminder to bring us back into our bodies, or our ears, when we’ve auto-tuned out. They can help us really listen instead of just hearing.